Chris came out to repair our stove and dishwasher. He communicowhen he was on the way and showed up on time. He was very polite and was able to fix the stove right away. He was unable to find the leak with the dishwasher and when he ran the cycle, everything seemed fine. Of course I ran a load of dishes and it leaked again. I called Chris and he was able to put me on the schedule for the next day! He came out and was able to fix the problem and checked everything out thoroughly before he left. Chris was very punctual and did a great job troubleshooting and fixing our issues. My refrigerator was still under warranty, so the price was perfect: $ 0 It did take a week however, before a technician could come; I would suggest more technicians or more service companies to make the time between the call for service and the day the service is rendered, shorter. The customer rep I spoke to was amazing and helpful. The tech who fixed the issue came on time and provided a courtesy call which was very helpful. Efficient and fast. Thank you. Took a couple of weeks to get the replacement part in, but the repair was done well. 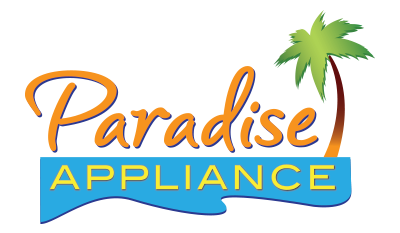 It was easy to set up an appointment with Paradise and the technician Johnny was excellent. On time and fixed right the first time. Thank you! Johnathan came on the time that was promised and checked out my refrigerator, which had gone on the blink the day before. He gave me the bad news, the part that was failing was no longer available and the other part that possibly could be the cause of the misery was not guaranteed to take care of the problem. So, that was the information that I needed to make an informed decision, namely: last rites for the old and start looking for a new refrigerator. Thanks Johnathan, your candor was much appreciated. Gas company came and it’s working fine. Said the problem is the dryer. After the guy came I called the gas company and got an appointment way in the middle of the month so had to wait for them to come. They checked everything and the gas part is working properly. The problem is the dryer not the gas as the worker said. Very good service. Our repair man was fast and curtious. I just wish it hadn’t taken four days fir the first appointment. Will surely recommend to family & friends. WASHER AMANA NTW4516FW1 "replaced water level & temp switches unit till fills to its own desired level. called tech line on prev visit, was told unit will fill up to 22 gallons of water no matter whats inside. according to whirlpool this is normal, advised cust working ok."
WASHER AMANA NTW4516FW1 "cust complaint of too much water in washer, wasnt like that before, installled main cntrl board & pressure hose, switches did not arrive unit still in same condition cust not satisfied wants switches installed called tech line was told this in normal fill leveles for this unit. reordered switches comcr#7724590548; ordrng 1 W10859568 (water level switch) and 1 WPW10414398 (rotory switch)"
DISHWASHER WHIRLPOOL WDF520PADW7 "cust does not have unit installed or hooked up, unable to work on unit, advised cust we only do repair not installations need to have dishwasher installed." M/W HOOD WHIRLPOOL WMH32519HZ3 installed new board and now the light switch function works proporly.. ran test. unit heats and lights all work now. WASHER AMANA NTW4516FW1 "found washer overfilling with water & has pressure fault error in main cntrl, needs cntrl board & pressure hose with switch replaced . ; ordrng 1 W11124710 (main cntl) and 1 W10846364 (hose)"
DRYER MAYTAG MGDC400VW0 "replaced broken door switch, ran test working ok. authorization # mjlwkjlwpl1; used 1 3406105 (door switch) from stock"
WASHER WHIRLPOOL WTW5840SW0 "made repair to jammed pressure switch, was stuck on small cycle, ran test working ok."
WASHER MAYTAG MVWB765FW3 replaced console and main control. recalibrated and verfied correct operation. DISHWASHER WHIRLPOOL MDB8959SFZ replaced sump assy with main cntrl board & sensor ran test working ok.
WASHER WHIRLPOOL MVW835DW "replaced broken door switch, ran test recalibrated, working ok."
WASHER MAYTAG MVWB300WQ1 "in test cycle unit overfilling with water then shuts down, also saw unit running with lights flashing, needs new cntrl board. ; ordrng 1 W10763742 (cntrl-elec) and 1 WP353244 (pressure hose)"
REFRIGERATOR WHIRLPOOL WRX735SDHW00 "dumper cover with plastic bags, water is connected to reverse osmosis, and crisper temp. was set to lowes i showed to male and explained to connect water to wall valve, not to cover the dumper vent and to set crisper at middle." WASHER WHIRLPOOL WTW2000HW0 "found gasket out of hose connection to sink causing water leak, unable to repair needs new hose. direct ordered part cust will install himself. ; ordrng 1 W10849778 (hose ds)"